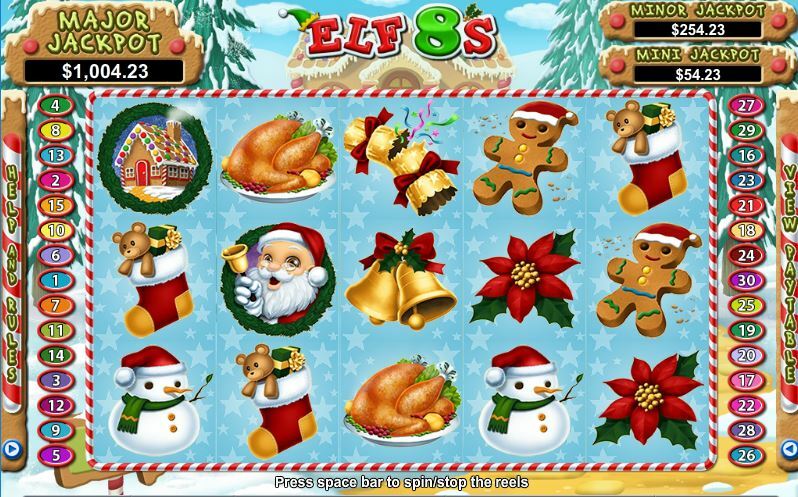 When 3 or more scattered Elfs appear left to right you will trigger the Elf Magic Feature and receive 8 free spins. Whenever the Elf appears during the free games he will move onto 1 or 2 additional reels before pays are awarded. The feature can be retriggered. The Win-Win Feature will be activated after the free spins are over if you win less than 10x your bet.